With ten patterns released, it was tough to pick just one for the tour, but I finally decided the Kathryn Top* was the one for me. I love the look of the pleats at the neckline and the shaping at the waist is really flattering. It’s an empire waist top, which is usually troublesome for my frame, since I have a large bust depth (which I’ll explain in a second). Fortunately, I know the Itch to Stich patterns are well designed so I can trust that the measurements in the charts are accurate. 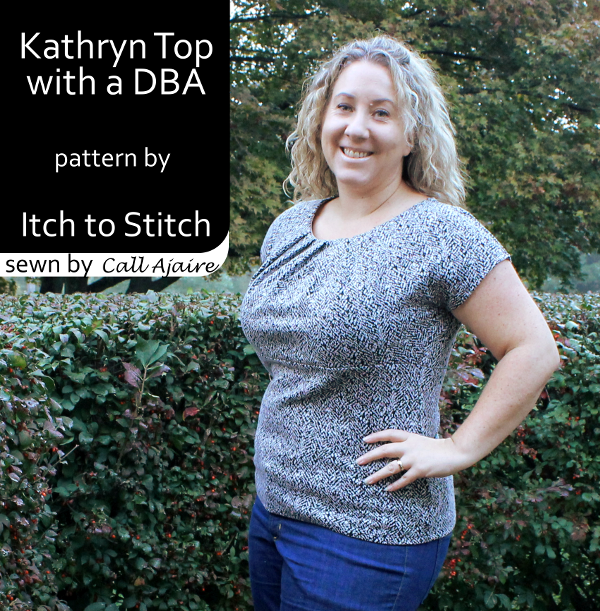 To make the Kathryn Top work for me (or any other woman with a large bust depth) I made a Deep Bust Adjustment (DBA) and I’ll tell you how you can make the same adjustment if necessary. A DBA is needed when the normal empire waistline ends up falling around the lower third of the bust – even with a full bust adjustment (FBA) – and yet still hits at the correct spot at the side seam and across the back. 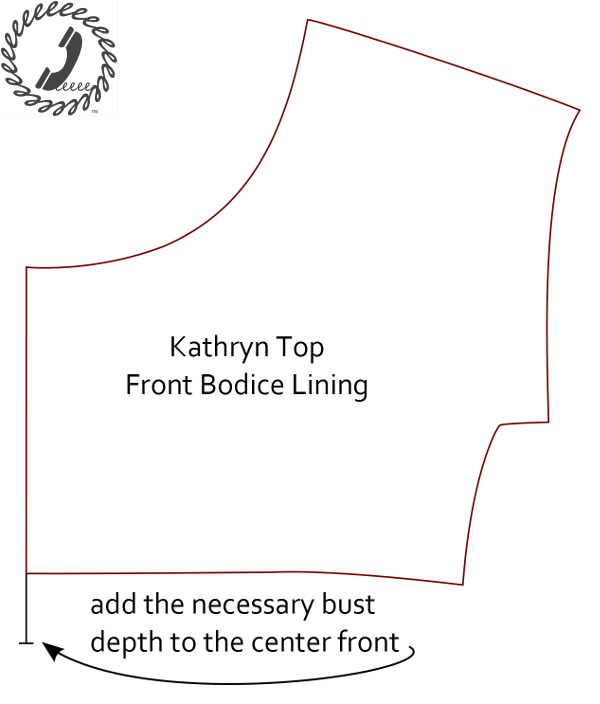 It’s a vertical bust issue more than a horizontal problem, so by adding more to an FBA to accommodate the length it would also make the width of the bodice too large. 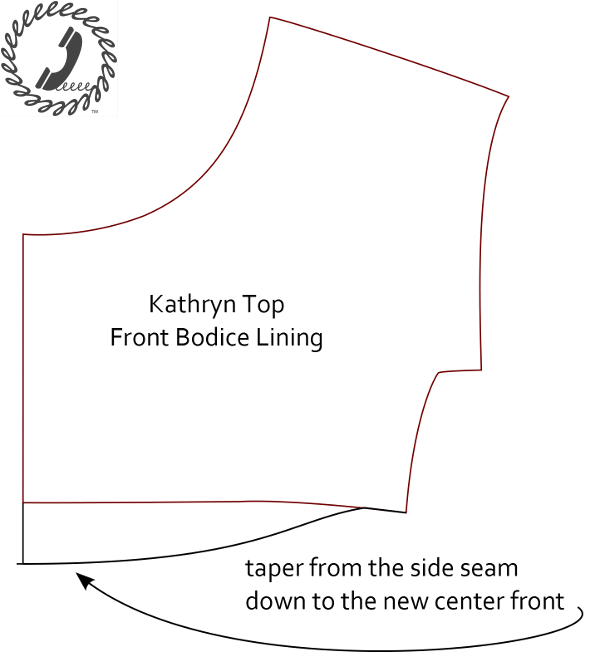 Below I use the Kathryn Top Front Bodice Lining pattern piece to demonstrate the DBA, but keep in mind the drawing is not to scale. To alter with a DBA, first make a muslin and determine how much extra length you need at the center bust. For reference, I needed 2″. 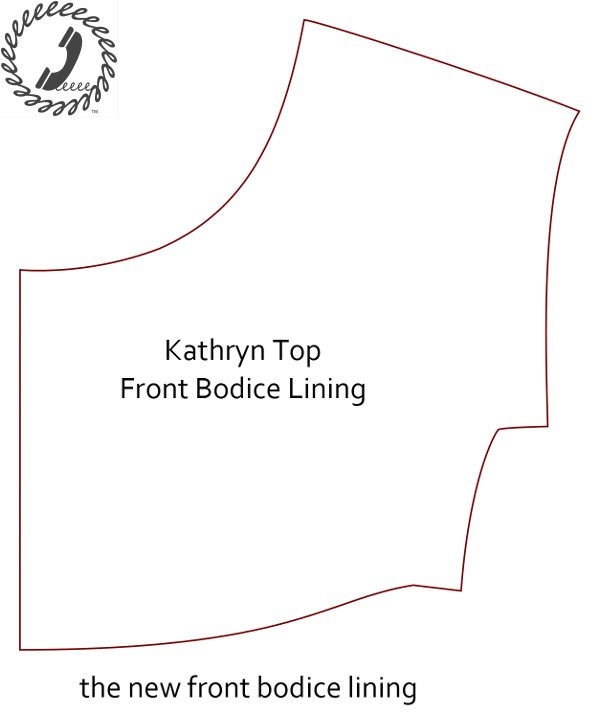 Then grab your front bodice pieces (for the Kathryn you need both the front bodice lining and the front bodice piece with the pleating) and trace around your size according to the pattern’s size chart. If you need to have an FBA, then do those modifications BEFORE you muslin for the DBA as sometimes the FBA adds enough length on its own. I didn’t need an FBA for this pattern. Next, extend the center front line down with the amount measured from the muslin. Mine was 2″. Since we don’t want to change the side seam and are happy with where the empire waist falls all the way around the back of the top, taper the new lower center front marking up to the old empire waistline before the side seam allowance. If there are darts along the empire waist, make sure you close them, draw the new line, and then open them back up. The Kathryn doesn’t have waist darts so it wasn’t necessary in this case. Trace along the new empire waistline and your DBA is complete (for the Kathryn Top, I made the same adjustment to the other front bodice piece). This isn’t a bodice fitting problem that affects everyone, but if you’re one of the few who is always cut off at the bust with an empire waist, it’s one you should consider. 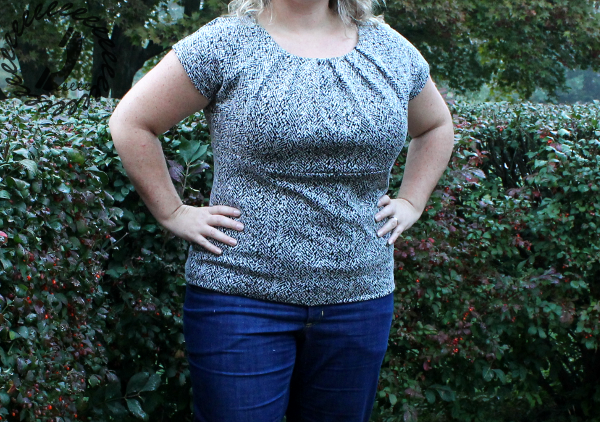 I love how this Kathryn Top fits and prior to a DBA I would have had to rule out this style for my shape. I would also have missed out on a great pattern! 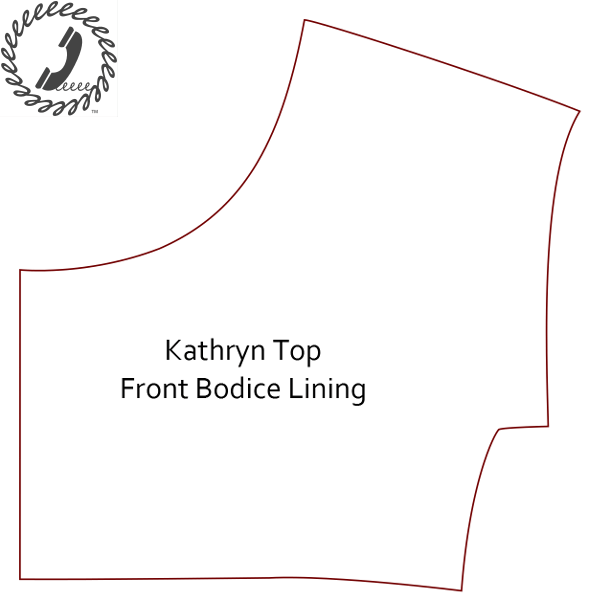 The way the Kathryn is put together is so smart and like other Itch to Stitch* patterns, there are specific design elements added to make sure the quality of your finished top stands out.